The scroll was unearthed in 1970 in a synagogue at Ein Gedi. Now, a high resolution 3D scanning has allowed to decipher it. 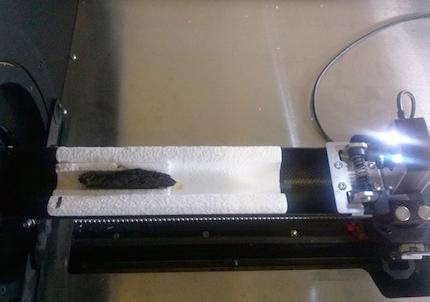 For the first time, advanced technologies made it possible to read parts of a charred scroll that was found inside the Holy Ark of the synagogue at Ein Gedi, on the west shore of the Dead Sea. The scroll is a 1,500 years old copy of the beginning of the Book of Leviticus, one of the first books of the Torah, and therefore, of the Bible too. The rare find was presented at a press conference in Jerusalem by the Israel Antiquities Authority. The parchment scroll was unearthed in 1970 in archaeological excavations in the synagogue at Ein Gedi, headed by Dr Dan Barag and Dr Sefi Porath. However, due to its charred condition, it was not possible to either preserve or decipher it. 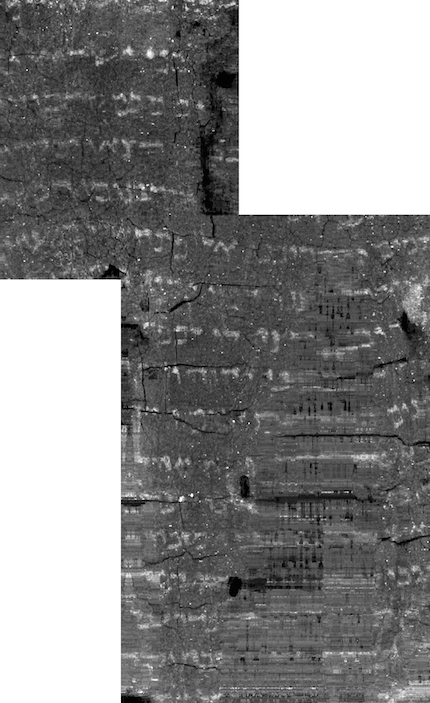 A high resolution 3D scanning has allowed to virtually unroll the scroll and visualize the text, which coincides with the first 8 verses of Leviticus. It is written in Hebrew, and dated by C14 analysis to the late sixth century. It is the most ancient scroll from the five books of the Hebrew Bible to be found since the Dead Sea scrolls, most of which are ascribed to the end of the Second Temple period. The Lord summoned Moses and spoke to him from the tent of meeting, saying: Speak to the people of Israel and say to them: When any of you bring an offering of livestock to the Lord, you shall bring your offering from the herd or from the flock. If the offering is a burnt-offering from the herd, you shall offer a male without blemish; you shall bring it to the entrance of the tent of meeting, for acceptance in your behalf before the Lord. You shall lay your hand on the head of the burnt-offering, and it shall be acceptable in your behalf as atonement for you. The bull shall be slaughtered before the Lord; and Aaron’s sons the priests shall offer the blood, dashing the blood against all sides of the altar that is at the entrance of the tent of meeting. The burnt-offering shall be flayed and cut up into its parts. The sons of the priest Aaron shall put fire on the altar and arrange wood on the fire. Aaron’s sons the priests shall arrange the parts, with the head and the suet, on the wood that is on the fire on the altar. (Leviticus 1:1-8). "In the archaeological excavations of the burnt synagogue, we found in addition to the charred scroll fragments, a bronze seven-branched candelabrum (menorah), and the community’s money box containing 3,500 coins, glass and ceramic oil lamps, and vessels that held perfume. We have no information regarding the cause of the fire, but speculation about the destruction ranges from Bedouin raiders from the region east of the Dead Sea to conflicts with the Byzantine government”, he added. “This discovery absolutely astonished us: we were certain it was just a shot in the dark but decided to try and scan the burnt scroll anyway. Now, not only can we bequeath the Dead Sea Scrolls to future generations, but also a part of the Bible from a Holy Ark of a 1,500-year old synagogue!”, he concluded.